When you’re first researching home equity lines of credit (HELOCs) and home equity loans, you may find yourself a little confused about how they work, what the difference is between them and why you would select one over the other. An important thing to understand is that they are both loans that allow you to borrow money against your home equity. Equity is the difference between the value of your property and how much money you owe on your mortgage. For both a HELOC and a home equity loan you end up paying the money back over a period of time, but the way in which you borrow and pay the money back is different, as is the amount of time you have to do so. A home equity loan is a loan given in one lump sum with a fixed interest rate, while a HELOC is a bit more flexible and allows you to borrow money as you need it before paying it back at a variable interest rate, similar to a credit card. Let’s learn what a HELOC and home equity loan are and then explore how they differ. This guide will give you a better understanding of each type of loan and help you determine which option is best for you. There are certain terms you should know when you’re considering applying for a HELOC or Home Equity Loan. Understanding HELOC and loan terms will help you. Here are few vocabulary terms you should be familiar with in order to understand discussions and terms about HELOCs and Home Equity Loans. Loan-to-value or combined loan-to-value ratio (LTV or CLTV): The amount you want to borrow plus your current loan balance, divided by the appraised value of your home. Debt-to-income ratio (DTI): The percentage you pay toward your debt each month divided by your gross monthly income. Home equity: The market value of your home minus any loan balances owed. Advance term: The period of time during which you have unlimited access to the money available for you to borrow. Often lenders require interest-only payments during this time. Repayment term: The period of time during which you are required to pay back the money you’ve borrowed, plus interest. Interest rate ceiling: The ceiling for your interest rate is the maximum interest rate you can be charged over the life of your credit line. Interest rate floor: The floor is the lowest your interest rate will ever fall during the life of your credit line. Loan term: The life of the loan. You must repay the loan by the end of the term. Next, you’ll want to understand the other kind of terms—the terms of the home equity loan or line of credit itself. Because home equity loans have a fixed interest rate, currently averaging between five and seven percent, you’ll have a reliable payment you can count on for the full term of the loan, which can typically range between five and 15 years. With a home equity line of credit (HELOC) you should know what kind of interest rate you’ll be charged at the start of the loan and whether it will be variable, fixed or both during the life of the loan. You should also know the ceiling and floor interest rates on your HELOC. Knowing the ceiling and floor on your interest rate can help you anticipate how much your payments could vary over time. You’ll also want to determine the length of time you’ll be given for the advance term and the repayment term. You may see advance terms ranging anywhere from 5 years to 10 years, with repayment terms ranging from 10 years to 20 years. The most common HELOC term is a 10-year advance with a 15-year repayment term. In simple terms, a HELOC is a second mortgage loan that allows you to access a line of credit up to a certain amount of the value of equity in your home. This line of credit allows you to borrow against your home equity in the same way you might use a credit card. You borrow, repay and repeat, only borrowing as much as you need. You apply for a HELOC in much the same way you apply for a mortgage loan. 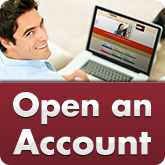 Ask how to get a HELOC at your financial institution and then apply in person, over the phone or online. Your approval will be based on your credit score, credit history, amount of equity you have in your home, and debt-to-income ratio (or DTI). Once you’ve been approved, your lender will set your interest rate, which will be variable after a certain amount of time in most cases. The lender usually starts with an index rate like the prime rate, or the lowest interest rate at which you’re able to borrow money, and then increases your interest rate from there based on your credit history and amount of equity you have in your home. As the interest rate varies and the amount you borrow or owe fluctuates, so will your payments, so be sure to plan accordingly when you use your HELOC funds. How much HELOC can you get? When you ask your lender, “How much HELOC can I get?” you’ll get a slightly different number depending on each lender’s requirements, but the way in which they make the decision will be the same. The amount your HELOC is approved for depends on your credit score, credit history and DTI ratio. Most lenders will allow you to access up to 85 percent of your home’s equity, though some lenders may allow up to 100 percent in certain cases. In order to be approved, however, you’ll need to determine your combined loan-to-value ratio (or CLTV). To determine your CLTV you’ll need to have your home appraised. Often times the lender can do an electronic valuation or exterior-only valuation so the borrower isn’t inconvenienced or put-off by a full appraisal with interior inspection. Once you have your home’s appraised value, you can add the amount you want to borrow to your current loan balance, and then divide that total by the appraised value of your home. The resulting percentage is your CLTV. Most lenders require a CLTV of 85 percent or less for approval of a HELOC. How much equity do you need for a HELOC? At this point, you’re likely wondering, “How much equity do I need for a HELOC?” Most lenders require that you have at least 15-20 percent of your home’s appraised value. That percentage will vary depending on your credit score, credit history and debt-to-income ratio. 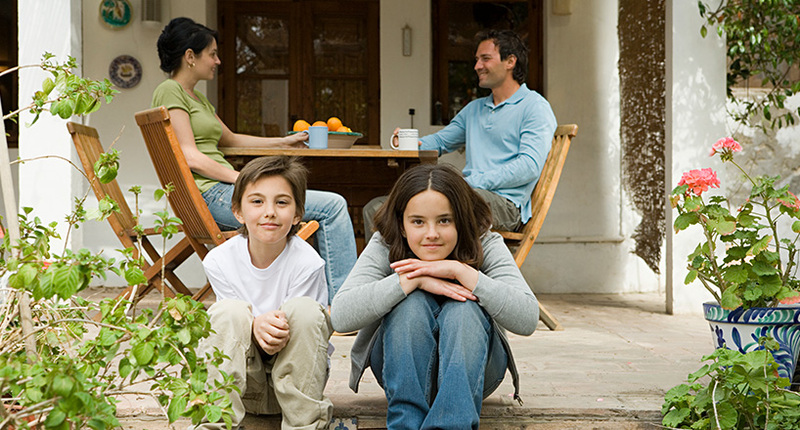 Ultimately, the amount of equity you have in your home will determine what you can borrow. Can you use your HELOC for anything? Technically, you can use the money from your HELOC for anything you choose. However, because this is a line of credit that borrows against your home equity, it is best suited for things like home remodels and upgrades, college tuition or other long-term expenses with ongoing expenditures. You may have heard people talk about using their HELOC to pay their mortgage, buy property, pay off other debt or even for general spending money. Let’s take a look at the pros and cons of using your HELOC in these ways so you can plan to use your HELOC responsibly. Using a HELOC to pay off your mortgage. If you’ve built up enough equity on your home to qualify, you can use a HELOC to pay your mortgage loan off. HELOCs sometimes have lower interest rates than mortgages, so paying off your mortgage loan with your HELOC could reduce your monthly payments, reduce the overall interest paid and help you pay off your mortgage sooner without paying the closing costs associated with refinancing your home loan. However, HELOCs have a variable interest rate, so unless the interest rate is significantly lower than your mortgage loan rate or you have a small mortgage balance, you may end up with a higher interest rate in the end. Using a HELOC to buy rental property, investment property or make a down payment. Are you considering using a HELOC to buy investment property or rental property or using a HELOC for a down payment on a new home? This can be one way to finance an investment at a lower interest rate than a traditional mortgage loan, while also avoiding closing costs and the need for reserve funds. Additionally, during the advance term, you could only pay interest on the loan. Using a HELOC to pay down your credit card debt. If you have a lot of debt, you may have looked into consolidation in order to create one low-interest loan to pay back. If you’re wondering, “Should I use a HELOC to pay off my credit cards?” the answer could be yes if you repay the loan responsibly. Just remember that a HELOC has a variable interest rate, so your payments will change over time. The value of your home is also affected by economical change, so you could end up owing more than your home is worth. Keep in mind that, when taking out a HELOC, you’re putting your home on the line to pay off your credit card debt faster. If you don’t pay off your HELOC, you could lose your house and still end up in debt. Using a HELOC as your checking account. When you get a HELOC, you can receive a credit card and checks to use, so it’s easy to start thinking of it as liquid money. However, remember that you’re borrowing against your home equity, so using a HELOC as a checking account isn’t advisable. Instead, think of it like a credit card and only borrow what you need when you need it, and pay it back as soon as you can to avoid paying excess interest. The amount you’re approved to borrow on a HELOC depends first on your credit score, credit history and debt-to-income ratio because the bank wants to make sure that you can pay the HELOC back. From there, your combined loan-to-value ratio comes into play, so the amount you can borrow is dependent on the amount of equity you have in your home and the value at which your house was appraised. Depending on your credit history, DTI and CLTV, you may be able to borrow up to 100 percent of your home’s value. 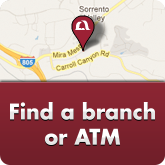 Mission Federal Credit Union is a great financial institution to apply for a HELOC. 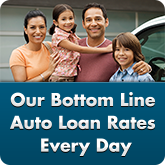 We offer HELOCs at a lower rate and with fewer fees than many other financial institutions. 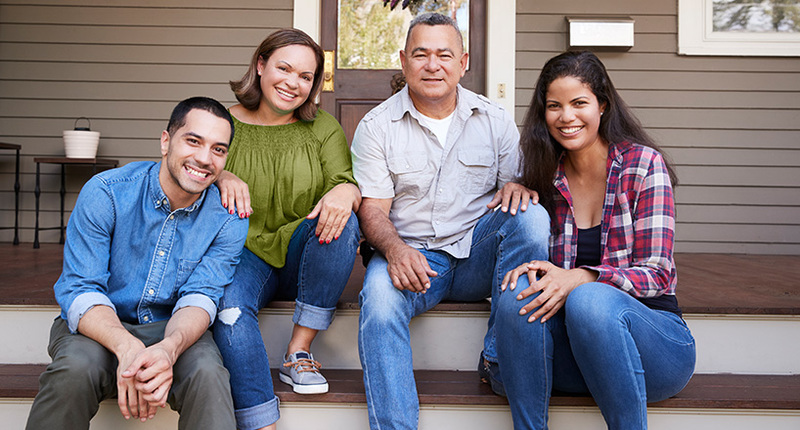 At Mission Fed, you could be eligible to borrow up to 100 percent of the equity in your home, and could qualify for a low introductory fixed APR rate for the first 12 months on our regular HELOC. 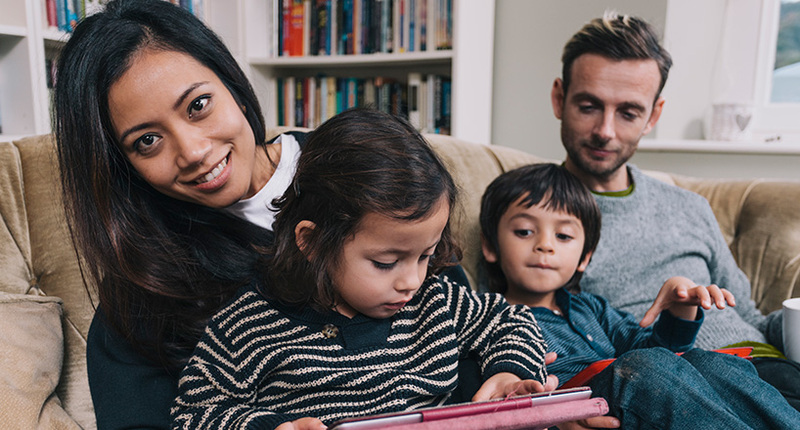 Use our regular HELOC and only pay interest on the money you use, or choose our Interest-Only HELOC, which allows you to pay only the interest for up to 10 years before starting repayment on the principal. 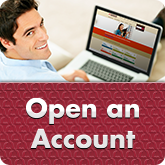 We make our HELOCs easy to use, with a variety of options to access your line of credit. You can access your HELOC with checks or a HELOC Platinum Mastercard®, as well as with Online Banking, Mobile Banking and our automated phone service 24 hours a day. Stop by a Mission Fed branch today to find out how low your HELOC rate could be. To apply for your HELOC, make an appointment with representative, call one of our Real Estate Loan Representatives at 800.500.6328 x2039 or apply online at your convenience. 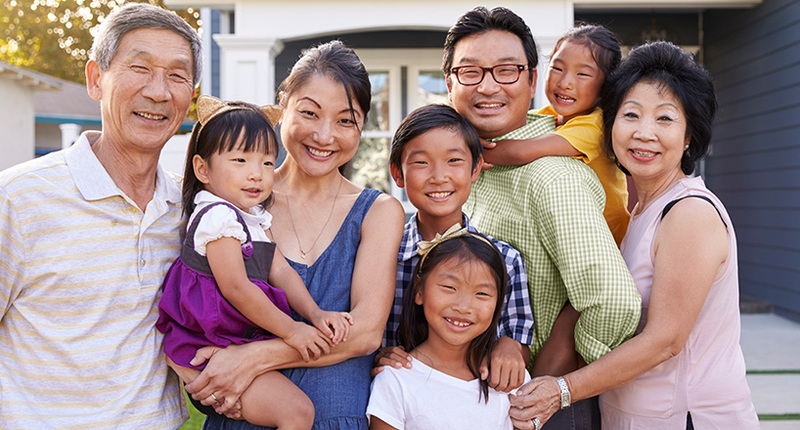 You’ve worked hard to build equity in your home—let us help you put that equity to use. At Mission Fed, your success is our bottom line. A home equity loan is a second loan you take out on your home, giving you access to a large sum of cash. It’s different from your regular mortgage loan, which goes toward the purchase of your home because you’re borrowing against the equity you’ve already accrued on your home. Home equity loans have a fixed interest rate, a fixed sum of funds you receive at one time and fixed payments. What are the home equity loan requirements? Most lenders require that you have at least 15-20 percent equity in your home, based on its appraised value. Depending on your credit score, credit history and debt-to-income ratio, the amount of equity you have in your home will be the deciding factor in how much you can borrow. 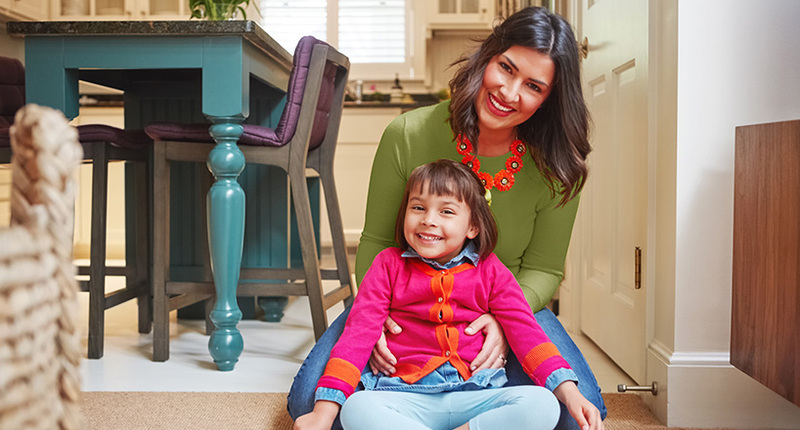 If you’re wondering how to get a home equity loan, your first step is to stop by your financial institution to talk to a loan expert and find out what loans you qualify for based on your DTI, credit score and credit history. Next, you’ll need to get your home appraised so you can determine your loan-to-value ratio (LTV). At that point, you can apply for your home equity loan to find out what interest rate and terms you qualify for. Keep in mind that a credit union like Mission Fed is likely to offer the lowest rates and most favorable terms. How much home equity loan can I get? The amount of money you can borrow is determined by your LTV. To figure out your LTV, add the amount you want to borrow to the amount you owe on the home. Then, divide that total by the appraised market value of your home. Most lenders will allow you to borrow up to 80 percent of your equity, though some lenders like Mission Fed allow up to 125 percent, depending on your credit score, credit history and DTI. You can use your home equity loan for anything you want. However, remember that you’re borrowing against your home, so make sure you’re using the money wisely to ensure you can pay the loan back in a timely manner. What can you use your home equity loan for? If you’re wondering, “Can you use a home equity loan for anything?” the answer is yes, but that doesn’t mean you should use it for just anything. Typically, home equity loans are used for home improvement, remodels or upgrades. The upside of this is that it could raise the value of your home. You can use your home equity loan to consolidate debt because home equity loans are often offered at a lower interest rate than other loans and credit. Just remember that using a home loan to pay off debt puts your home at risk if you’re not responsible about paying it off. You can use your home equity loan for a car, and you may be able to get a lower interest rate, lower payments and better terms. Still, it’s important to keep in mind that you’re putting your home up as collateral for your new car, so if you miss payments, you’ll lose your home and your car. If you already own a home, but want to know, “Can I use a home equity loan to buy another house?” the answer is yes. If you want a second home or income property, you may have also wondered, “Can I use a home equity loan for a down payment?” You can, and it can help you avoid using all your savings. Paying your down payment this way can also result in faster closing on the new home. Now that you know a little bit about a home equity loan vs. line of credit, let’s explore the differences between a home equity loan and a HELOC. Why would you choose one over the other? What is a HELOC loan best for? Because a HELOC allows you to only use as much money as you need and generally offers a longer term, a HELOC is ideal for something with ongoing, long-term costs. If you have a large home renovation planned that will take some time, a HELOC is a good fit to help pay for it. Do keep in mind that your interest rate will vary, so be careful not to borrow more than you really need. What is a home equity loan best for? A home equity loan allows you to receive one lump sum at a fixed interest rate. For this reason, if you want to pay for a down payment for a new home without depleting your cash savings, a home equity loan is a great choice. The fixed interest rate also allows you to plan around a reliable payment, so it’s easier to plan ahead to repay these types of home equity loans. When it comes to the best home improvements that add value to your home, go green and look for improvements that are energy-efficient. These improvements not only add value to your home and make a home more attractive to buyers, but they often mean utility bill savings for you in the long run, too. Look into energy-efficient appliances, upgraded heating and cooling systems and energy-saving upgrades like new insulation or vinyl windows. Installing solar panels is another excellent way to save a significant amount of money, add value to your home and entice new buyers. Keep in mind that while the home improvement return on your investment might not be immediate, you’ll see the savings add up over time and you’ll make your house more attractive to green-minded buyers. 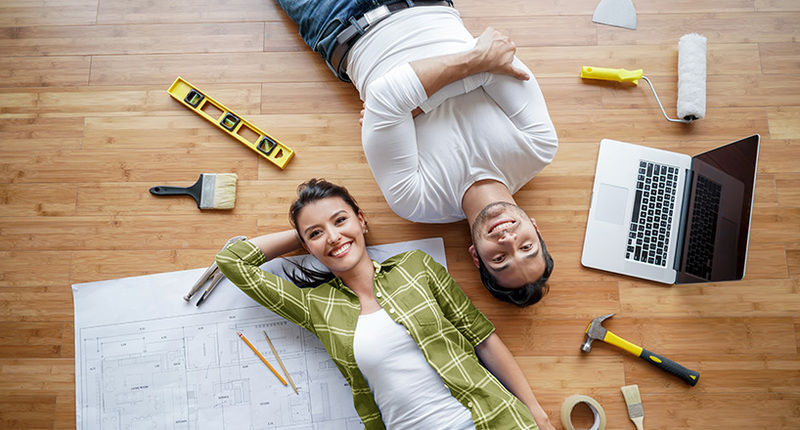 The best way to finance home improvements is often with a home equity loan. Since you’ll be adding value to your home with the improvements, you’re improving your equity even as you’re borrowing from it. 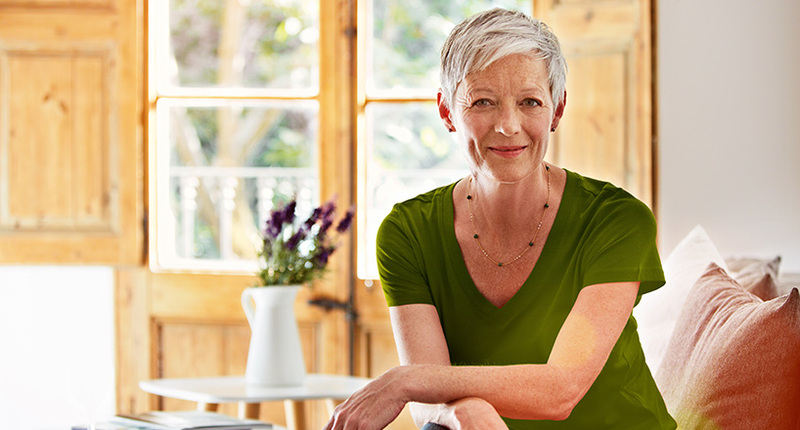 If you know exactly what you want to do and have estimates to back up the cost, the single lump sum of a home equity loan makes the most sense. 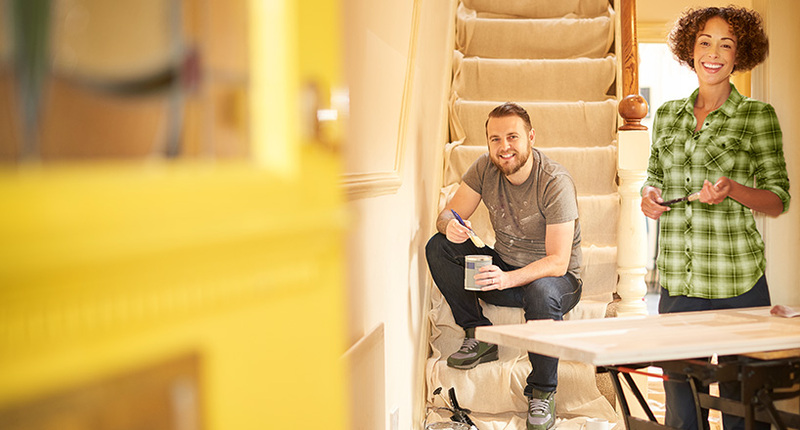 If you’d like to add improvements to your home over a length of time, a HELOC might be a better choice so you can borrow the money as you need it, without taking out more than you’ll need. As you explore which energy-efficient upgrades and solar options to add to your home, remember that the best home improvement investments will add value to your home. Installing solar panels is expensive, so you may wonder if using the equity in your home for solar panels is worth it. Want proof? Take a look at your current electricity bill. If you use a lot of electricity—and most of us do with all of our technology—you could slash those costs by quite a bit. If you live in a place with a lot of sunshine, like San Diego, you’ll produce even more energy and more savings. In the process, you‘ll be adding to the market value of your home and making your home more attractive to buyers. Many financial institutions now offer loans specifically for solar panel financing. A home equity loan for solar power financing is also a great choice since you’ll be able to get the money you need for purchase and installation in one lump sum, then pay back the low interest loan over time while helping to boost the value of your home. When you invest your home equity in solar panels, you’re investing in a cost-efficient, environmentally responsible upgrade for your home. Because going green has become popular, homebuyers are often looking for homes with energy-efficient upgrades and solar already installed. Installing solar allows you to enjoy savings on your electricity bill and to conserve energy and resources, all while investing in your home. Mission Fed offers Home Equity Loans you can use for solar with low rates available at up to 125 percent of your home’s value. Our knowledgeable, friendly representatives can help you through our easy application process in any branch, over the phone or online with our fast online application. You’ll get a secure, fixed rate for reliable payments over the term of your loan, which can be used for solar financing, energy-efficient upgrades or new energy-saving appliances. 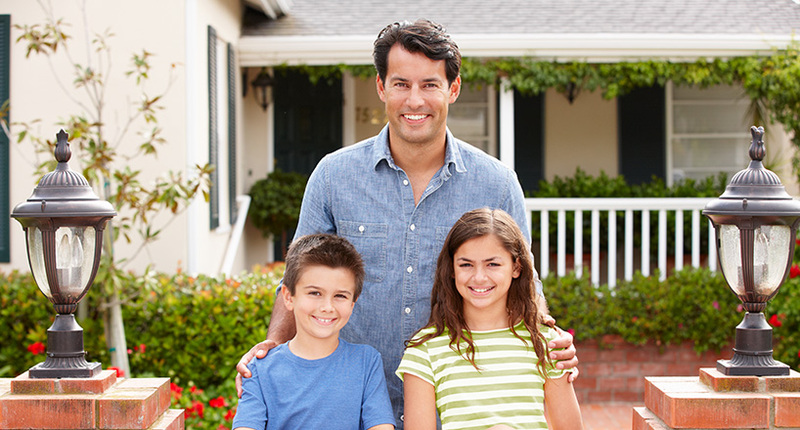 No matter how you choose to use your Home Equity Loan, Mission Fed makes it easy to apply. We can also help you explore whether a HELOC is a better choice for your particular project. At Mission Fed, we believe in the power of going green, and we would love to help you save some green while saving energy. 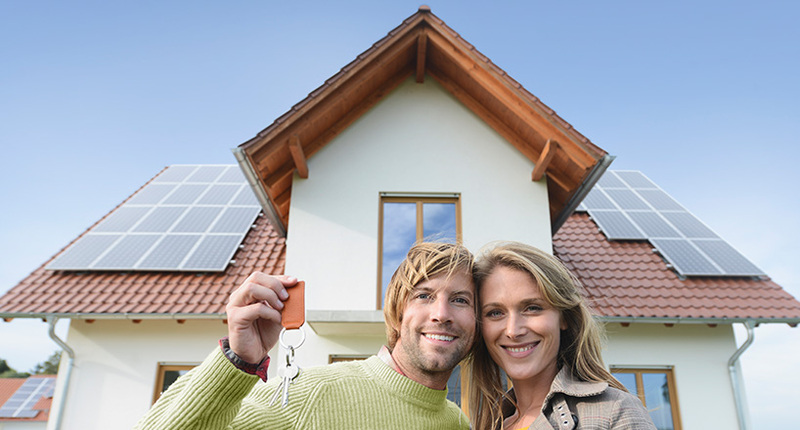 Stop by any branch or contact us any time to learn more about how a Home Equity Loan can be used for solar power financing, can benefit you, and improve the value of your home in San Diego. 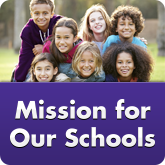 At Mission Fed, people are our priority and your success is our bottom line.